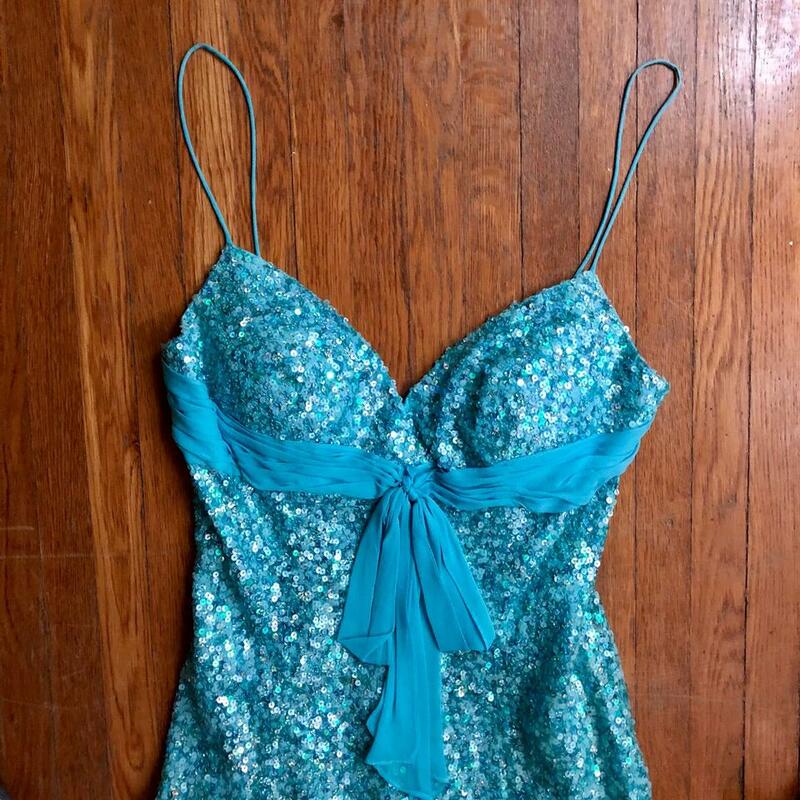 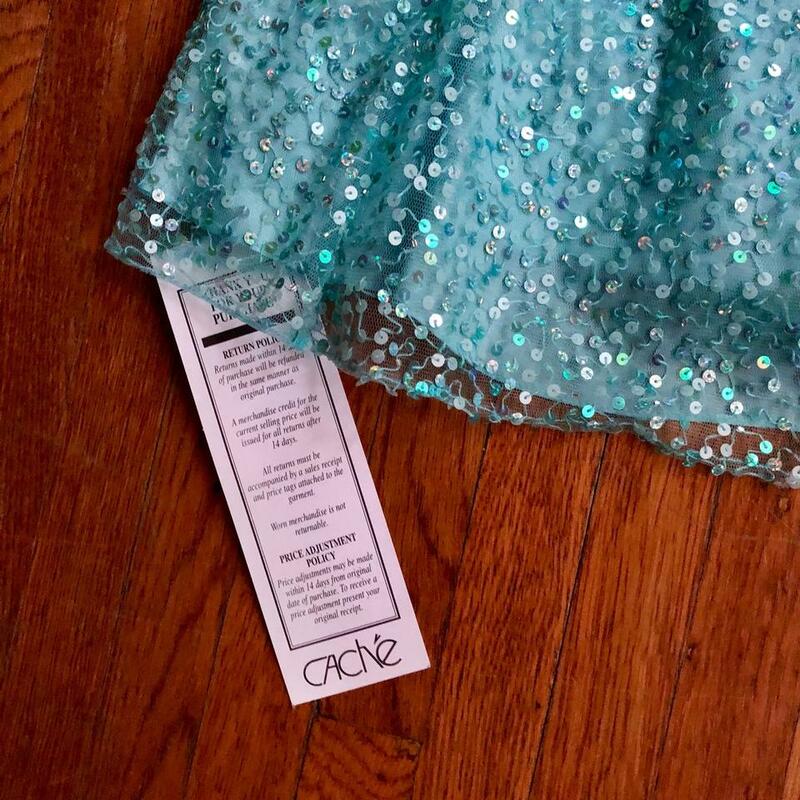 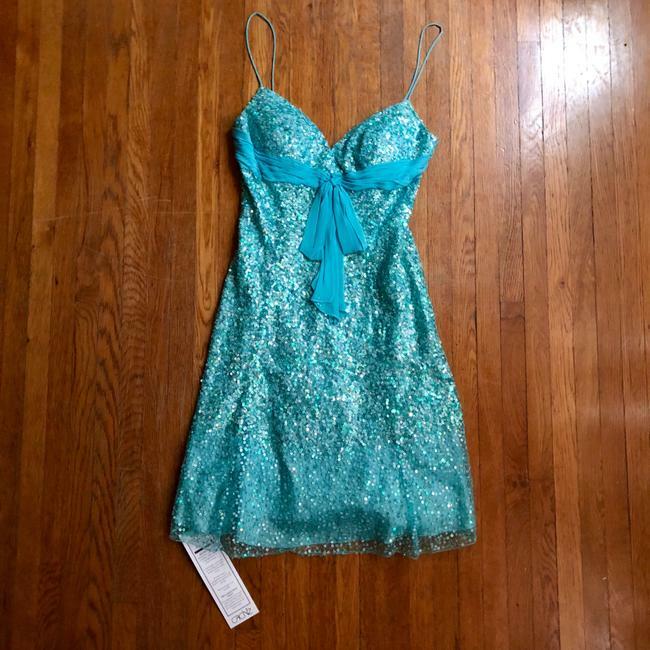 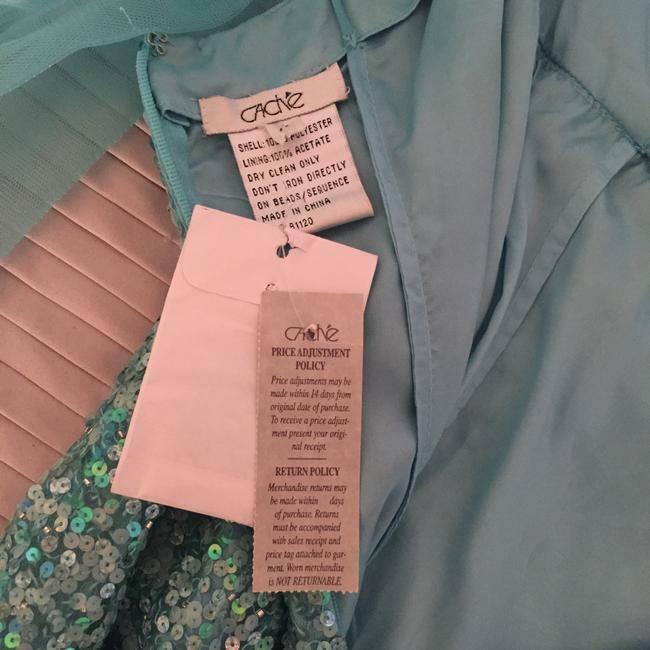 This stunning sequin dress is brand new with tags still attached. 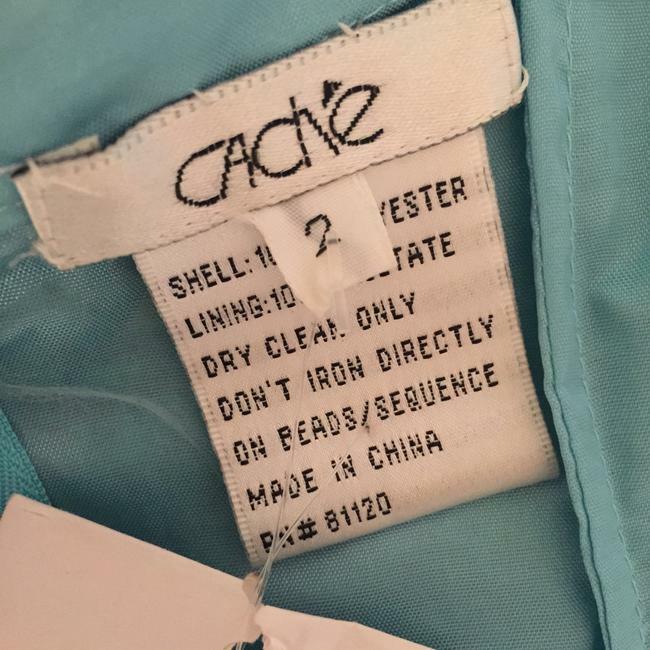 There is padding in the dress. 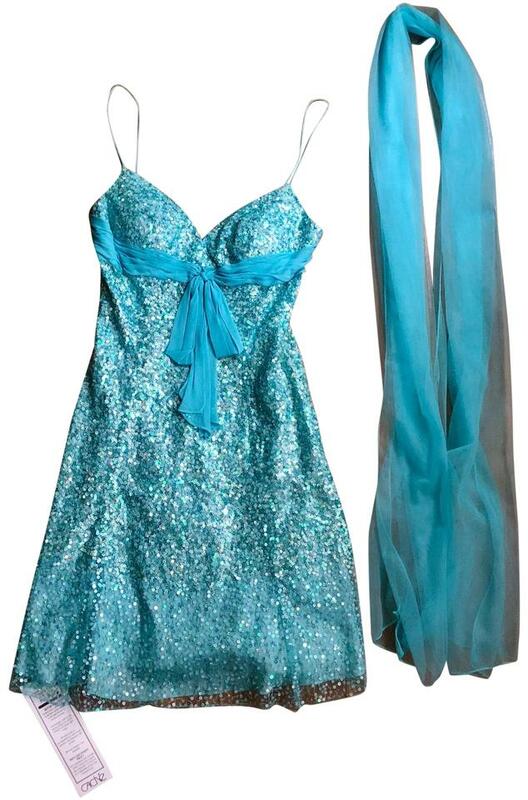 Dress comes with optional blue scarf/shawl type thing. 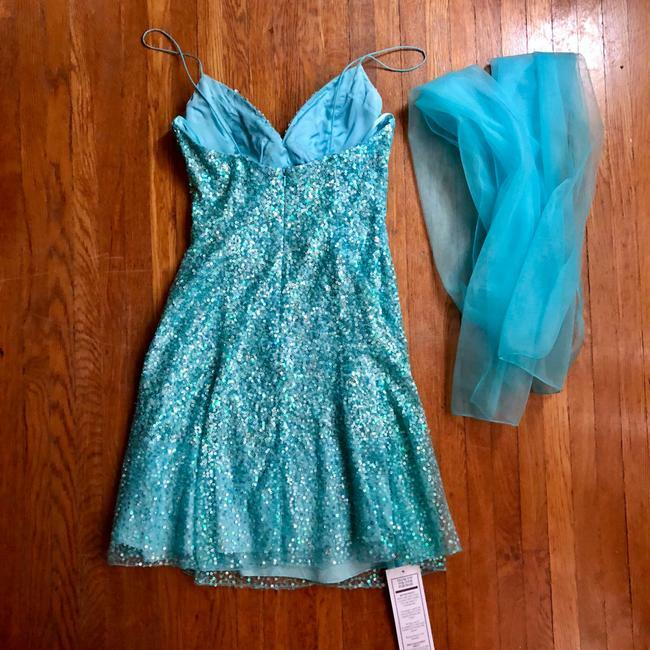 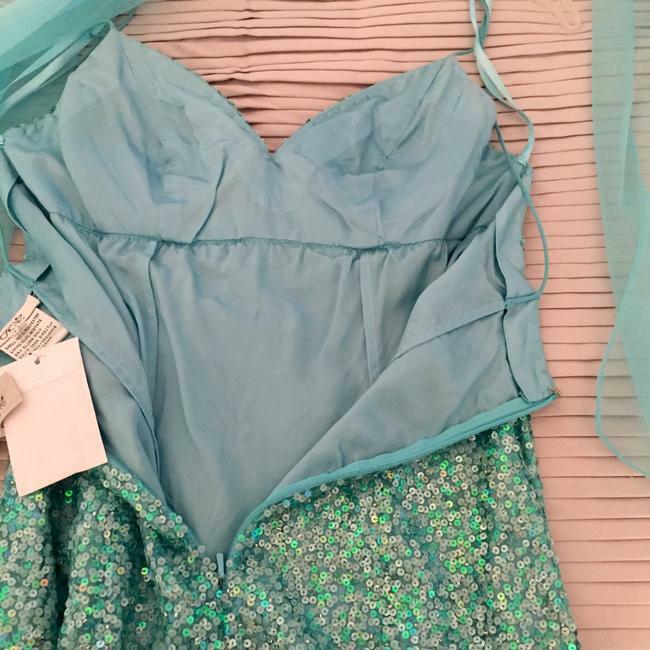 This dress is so beautiful and mermaid like!